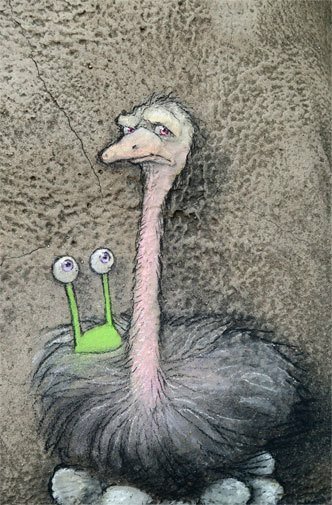 This Sluggo-inclusive image is a finely rendered detail from a temporary art installation at the Detroit Zoo – hence the earthy tones and suspicious ostrich. High-quality giclée print reproduction on archival 8" x 10" photo paper, signed by the artist. Suitable for framing!